Inside São Paulo: Discovering Bixiga, the Little Italy of Sao Paulo. Here we post some infos about the city, including Bixiga antiquitie´s Market, hope you like it and come to visit us soon! 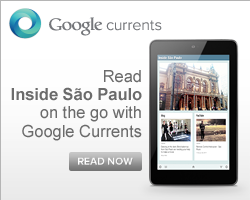 Become a fan from Visit Brazil and stay connected with fresh news!